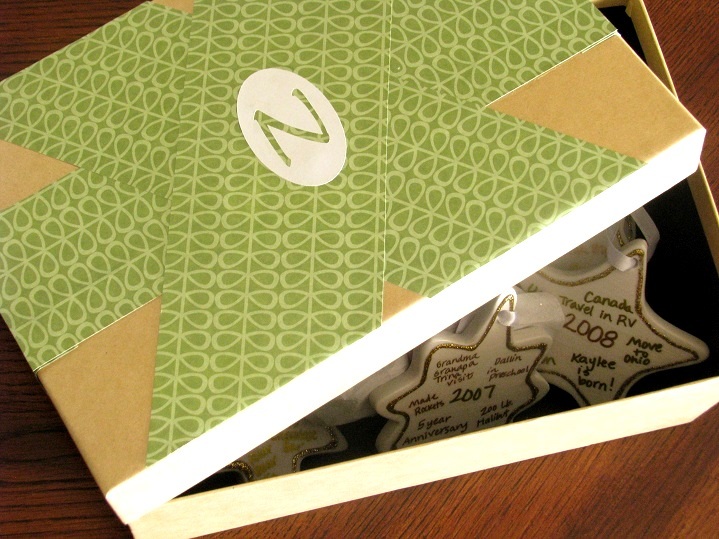 My sister, Stacy, is the creative mind behind the blog, Piles of Projects. 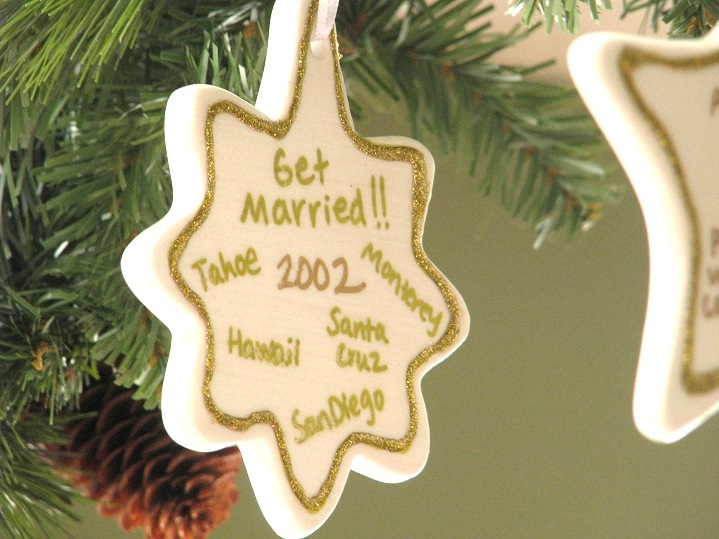 She recently shared these super cute ornaments that she makes for her husband every year for Christmas. Each ornament is a little summary of the year in pictures. 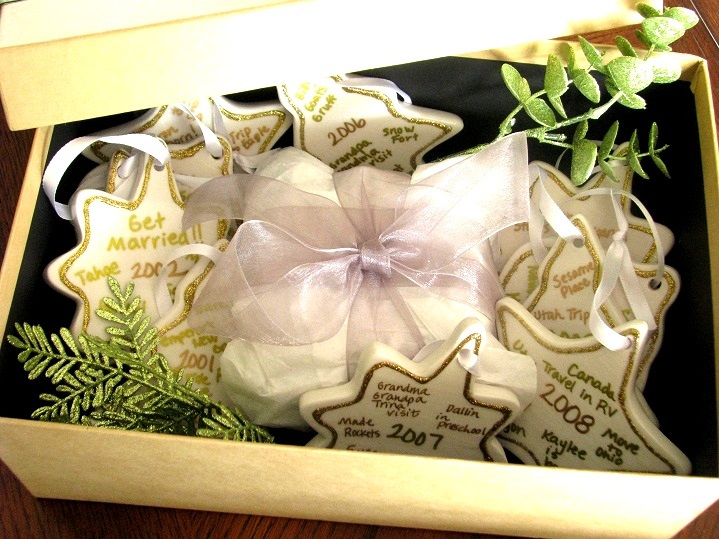 I knew when I saw these that I wanted to make some for our family too, but really wished I had thought of them sooner so that I didn’t have to back track 10 years! Also, I can’t free hand paint like she can. But I still wanted to make some for my husband too. In the past his favorite gifts have been the homemade ones and it is hard to keep coming up with those kind of ideas for him, so a big THANK YOU to Stacy for sharing her idea with me! So I headed to Michael’s to pick up some supplies. I love these ceramic ornaments. I’ve used them in previous projects. They are usually around $1. I bought a bunch of them. 10 to make this year and some for the future. They make pens that write on ceramic, but didn’t have the colors that I wanted, so I bought a few metallic permanent markers in the scrapbooking section. 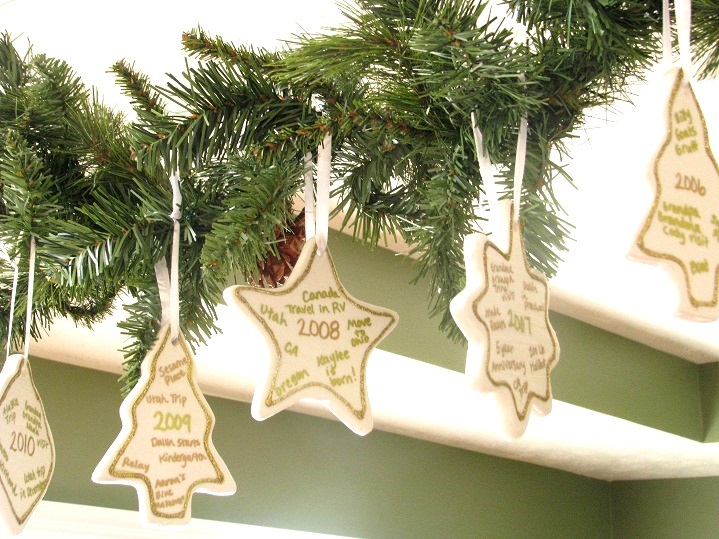 I used the markers to write the year and memories on each ornament, then coated them with a thin layer of mod podge to keep the markers from rubbing off since they aren’t ceramic markers. It worked perfectly and there won’t be any smearing over the years. If you do this same method, just make sure it is thin and you use light strokes to avoid any smearing. When they were dry, I went around the edges with some glitter puff paint for a border. 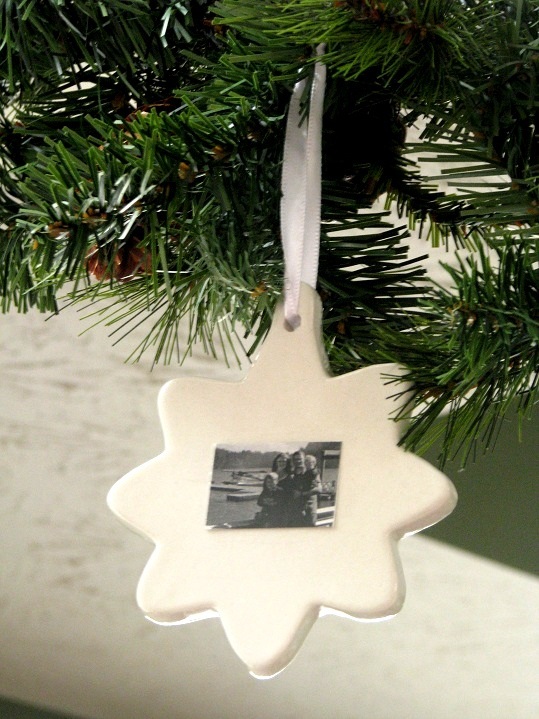 I printed out small thumbnail photos of our family Christmas photos and mod podged them to the back of each ornament. I found this photo box at Michael’s for $2 and added some scrapbook paper to decorate it. Each one is wrapped in tissue paper to keep it safe from cracking and the extras are wrapped in the center for future use. I think we may need a separate Christmas tree for these in a few years! What a lovely idea to keep your years in memory 🙂 love it! That is a great idea! I loved how yours turned out, Brandy! I have been stressing BIG TIME about something special to give my husband. This is just perfect. Thank you, you talented sweet sisters. What a great idea! If only I could go back ten years and start this! Merry Christmas! Love this! I might have to start working on this now, and maybe I’ll be finished before next Christmas! I featured this today on my Christmas in July Blog Celebration!